This might be just the tour you are looking for! It’s long enough to touch all corners of Tasmania. We have created this tour for those with 7 days (8 nights) to experience Tassie. The route will help you explore the South, East, North East, West Coast and Western Wilderness of Tasmania. Accommodation is mostly in friendly 3.5 to 4 star quality hotels, and cabins. 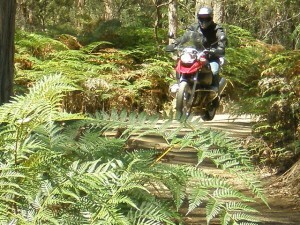 We supply the bikes, the bookings and our passion for Tasmania is reflected in the suggested itinerary. Ride a quality BMW or similar multi-purpose motorcycles, best if you bring your own riding gear, but if you don’t have enough we can help out from our stock of used gear. Stay at quality accommodation each night, breakfast supplied at some venues, or nearby cafes. Lunch and dinner are up to you, but we will supply you with our suggestions. 1 Hobart Pickup bike in the afternoon then settle into accommodation Quality Pub near the Waterfront. 2 Port Arthur Ride South first, then explore Tasman Peninsular and port Arthur Restored Hotel, stunning views. 3 Bicheno Port Arthur, East Coast, Wineglass Bay, Bicheno Beautiful, cabins in the delightful East Coast holiday centre. 5 Strahan Deloraine, Sheffield, Cethana, Cradle Mountain to Strahan. Best motorcycling you will ever do Waterfront luxury studio. 7 Maydena Ride through world heritage wilderness to Derwent Park, National Park. Country cabin, cooked dinner. 8 Hobart Lake Pedder, New Norfolk, Hobart Quality Pub near Waterfront. We may not be able to provide accommodation Dec to March at short notice. Indicative Pricing, contact us for confirmation. Prices are quoted for 7 riding days 8 night. Packages are inclusive of the bike (assumes R1200GS: other bikes are cheaper), Accommodation bookings, daily ride guides, Insurance and GST (Tax). This is a serious ride for experienced riders. The distances may look easy, but the continuously winding road and changeable weather conditions means the riding is challenging. If you are not experienced at this kind of riding, let us know, and we can tailor a slightly more achievable (and safer) ride for you. When thinking about dates, remember that Hobart’s Salamanca Market is on a Saturday, you may want to organise your start or finish to be in Hobart for this. Hotel, Pub or Bed & Breakfast accommodation starting and finishing in Hobart. Maps and GPS pre-programed routes, a suggested day by day ride itinerary as well as brochures and a run down on the tour..
Quality late model motorcycle either BMW R1200, Suzuki 1250, Triumph Tiger 800, Suzuki V Strom, Honda CB500F & Honda 400 depending upon your experience and preference. All motorcycles are equipped with luggage capacity. We have a limited amount of riding gear available, but we recommend you bring your own if possible..
Motorcycle comprehensive insurance is included in the price – The insurance excess is $4500, reducible to $1500 for $100. MAIB no fault Injury insurance is included in bike registration whilst you are riding one of our motorcycles. We recommend you have your own travel insurance to protect you in the case of injury or illness or repatriation costs. Pick up service in the unlikely event something goes wrong. (free pick up if the bike lets you down, your cost if you have a problem we didn’t cause). Price is subject to change without notice. Accommodation locations and prices may vary with seasonal availability. National Park fees not included in price. NOTE: Book early as we are generally unable to supply accommodation packages between 15th December and 15th January, due to the popularity of Tasmania at this time ( we can try but no garantees) . Motorcycles generally ARE available for rental during these dates.